*This dining experience took place in February 2018. Sanaa, located at Disney’s Animal Kingdom Lodge – Kidani Village, has long been one of my favorite table service restaurants for lunch and dinner. And, back in late 2016, Sanaa began offering a quick service style breakfast daily from 7-10 a.m. Given how much I love Sanaa, I can’t believe it took me this long (over a year!) to check out the Sanaa Kuamsha (which means “Awakening” in Swahili) Breakfast. But, now that I’ve been there, I know I’ll be back again soon. Their breakfast has easily become my personal favorite quick service option at Walt Disney World. I absolutely adore visiting Sanaa for lunch and dinner not only for the food but the wonderful atmosphere and beyond amazing savanna views. But, visiting at breakfast gave me a chance to experience the Sanaa atmosphere in a totally new way. 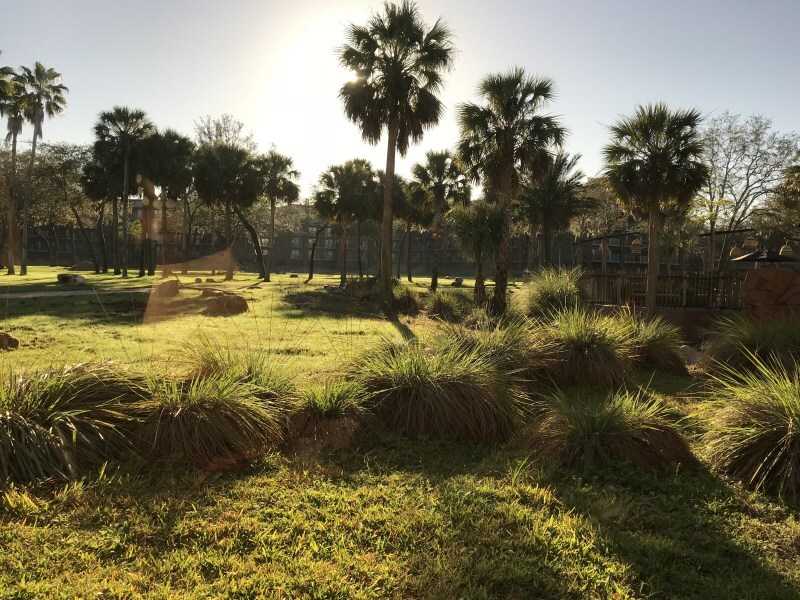 I arrived around 8 a.m. — the perfect time of day to see the sun shining on the savanna with mild temperatures. The bright sunshine made for an impressive view inside the restaurant.